For the last one year there has been a consistent crackdown by the Pakistani state against any Pashtun Tahaffuz Movement (PTM) activists and their supporters, reflecting panic on the part of Pakistan’s establishment. 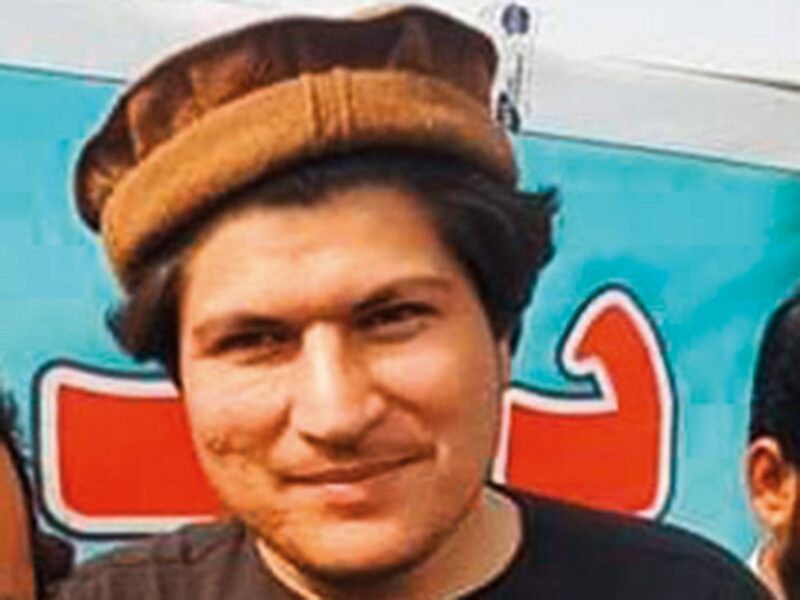 After a successful PTM rally, its most prominent organizer Alam Mehsud was abducted by security agencies. When this enforced disappearance was exposed in social media, he was shown to have been ‘arrested’ on trumped up charges of terrorism. One year ago “Mehsud joined [Manzoor] Pashteen and 20 other young activists to march on the capital, Islamabad, to protest the killing of Naqeebullah Meshud. A Pakistani police probe later blamed a police officer for killing the aspiring model in an encounter in Karachi. Pashteen’s protest in Islamabad attracted thousands, and the PTM emerged as a civil rights movement demanding security and protection for Pashtuns, Pakistan’s largest ethnic minority in the country of 207 million people. Prominent Pakistani intellectuals and activists have raised alarm over the Pakistani government’s crackdown on dissent, especially the attempts to muzzle the Pashtun Tahaffuz Movement (PTM). Pakistan’s media has been forbidden from reporting on the PTM, which has organized large rallies throughout the Pashtun territories along Pakistan’s border with Afghanistan. Members of South Asians Against Terrorism and for Human Rights (SAATH Forum), founded by former Pakistan ambassador and author Husain Haqqani and Dr Mohammed Taqi, issued a joint statement condemning the suppression of peaceful protests and the abduction by security services of several of the Pashtun Movement’s activists. “After a successful rally by PTM in Karachi, its organizer Alamzeb Mehsud was taken away by operatives of Pakistan’s deep state,” the statement said, adding that cases were registered against Manzoor Pashteen and other PTM leaders after the authorities’ covert actions were exposed on social media. “The Pashtun protest is unprecedented as it is peaceful, organized and emanates from the grassroots. PTM is a continuation of the non-violent resistance by Bacha Khan (Frontier Gandhi Khan Abdul Ghaffar Khan) and his followers. The peaceful resistance has broken the myth that Pashtuns are violent or support terrorism. Pashtuns, like Sindhis, Baloch, Urdu-speakers, Seraikis, and the people of Gilgit-Baltistan simply want their rights and dignity,” the SAATH Forum statement asserted.